'It's Jarred My Soul': Prosecutor Speaks On Flint Lead Water Crisis Special prosecutor Todd Flood talks about his investigation into tainted water in Flint, Mich., including allegations that there was a cover-up. Nine people have been criminally charged so far. Special prosecutor Todd Flood talks about his investigation into tainted water in Flint, Mich., including allegations that there was a cover-up. Nine people have been criminally charged so far. Now back to a story we've been following closely on this program - the water in Flint, Mich. You might remember that for more than a year residents used water contaminated by dangerous levels of lead. Michigan's attorney general has already filed criminal charges against three people in connection with the water crisis. On Friday, prosecutors charged six more current and former state employees, accusing them of hiding information and altering documents that showed the water was not suitable for human consumption. Todd Flood is a special prosecutor for the investigation, and he's with us now. Welcome. Thank you so much for speaking with us. TODD FLOOD: Thanks for having me. MARTIN: Without reading the entire charge list, can you give us a sense of what the state says occurred and how this rose to the level of criminal misconduct? FLOOD: Basically, what's happened is we have enough proof to charge and prosecute six people for manipulating reports - the Health Department, but also the Environmental Quality Department. They didn't just, you know, fail to act - both manipulated and hid reports that doctors and for sure the EPA wanted, as it related to both the lead levels in children and what the lead levels of - what the water was really showing coming out of people's homes. MARTIN: It is known that the reason that the water source was switched was to save money. That was very clear. That was very sort of publicly understood. I guess the puzzling part about it is that these individuals, presumably because they're state employees, would not have benefited from those cost savings. You just can't help but wonder, why would anybody do that knowing that kids were drinking this water and that this would - could - certainly if not kill them - do you see my point? It's just hard to grasp why anybody would do that. FLOOD: There's motives. I mean, obviously the motives behind what people would do is something I don't have to prove. I think as the investigation goes on and continues, that will become obvious. Right now, I'm not going to get into the motive. But to me, it's one of those things that has jarred my soul. I can't imagine anyone being able to sleep at night knowing that they would allow citizens to drink water contaminated with lead. I have come to see many, many victims. I have a young child that I saw that at the age of five has only grown an inch in one year from lead poisoning that she drank. But the icing on the cake, when you can show motive - and I'm confident we will at the end. MARTIN: What are the next steps? And do you believe that these are the people primarily responsible for the water crisis or is there more to come? FLOOD: There's more to come. I don't think that these people are the primary people that are responsible for making these decisions happen. They're complicit. And in the scheme, I think there was someone else behind the curtain doing the puppet master-type activities. But that's for, you know, another day. We'll just keep on peeling back the layers of the onion and seeing what and where it goes. MARTIN: Todd Flood is special prosecutor for the Michigan attorney general. Mr. Flood, thank you so much for speaking with us. FLOOD: Thanks for having me. MARTIN: We did reach the lawyer for defendant Liane Shekter-Smith, who was fired from her job as head of Michigan's Department of Environmental Quality's Drinking Water and Municipal Assistance Unit in February. Attorney Brian Morley told us that his client did not do anything wrong criminally, and that she did her job to the best of her ability. Michigan Attorney General Bill Schuette has announced criminal charges against six more people — including the state's former water quality chief — in connection with lead-contaminated water in the city of Flint. All six people are current or former state employees in the Michigan Department of Health and Human Services or the Michigan Department of Environmental Quality. A total of nine people are facing charges, accused of causing or covering up the crisis. The state has also filed a civil suit against two companies that allegedly knew about the poisoned water and failed to act. A full timeline of the Flint water crisis is here. At a press conference today announcing the latest charges, Schuette said: "Many things went tragically wrong in Flint. Some people failed to act, others minimized harm done and arrogantly chose to ignore data, some intentionally altered figures and covered up significant health risks." "Each of these individuals attempted to bury or cover up, to downplay or to hide information that contradicted their own narrative, their story. And their story was there's nothing wrong with Flint water, and it was perfectly safe to use. "In essence, these individuals concealed the truth. They were criminally wrong to do so, and the victims are real people. [They are] families who have been lied to by government officials, and treated as if they don't count. Well, they do count." The three people charged from the Department of Health and Human Services are the director of the child health unit, Nancy Peeler; her subordinate, Robert Scott; and a state epidemiologist, Corinne Miller. All three are charged with misconduct in office, conspiracy and willful neglect of duty for allegedly failing to release a report that showed unsafe lead levels in the blood of Flint children. "This put the children of Flint in the crosshairs of drinking poison," Schuette said. Miller has since left the department. Peeler and Scott are still employed there. The other three people charged today are Liane Shekter-Smith, who was in charge of the drinking water and municipal assistance office at the state Department of Environmental Quality, and two MDEQ subordinates, Adam Rosenthal and Patrick Cook. Shekter-Smith faces the same charges as officials from the DHHS for allegedly misleading health officials by saying Flint's water treatment plant was in compliance with lead and copper rules for drinking water when it was not. She was fired from her position in February, according to the Detroit Free Press. Cook and Rosenthal allegedly failed to ensure proper water testing, and Rosenthal allegedly went so far as to instruct those conducting water tests that he needed test results that did not show high levels of lead. Both are charged with misconduct in office, conspiracy, and willful neglect of duty. Rosenthal also faces a felony charge of tampering with evidence. Both Rosenthal and Cook currently work in the drinking water unit of the Department of Environmental Quality. An independent investigation of the Flint water crisis concluded in March that officials within the Michigan Department of Environmental Quality are mostly to blame, although other officials share some responsibility, and called the prolonged poisoning of the Flint water supply "a story of government failure, intransigence, unpreparedness, delay, inaction, and environmental injustice." 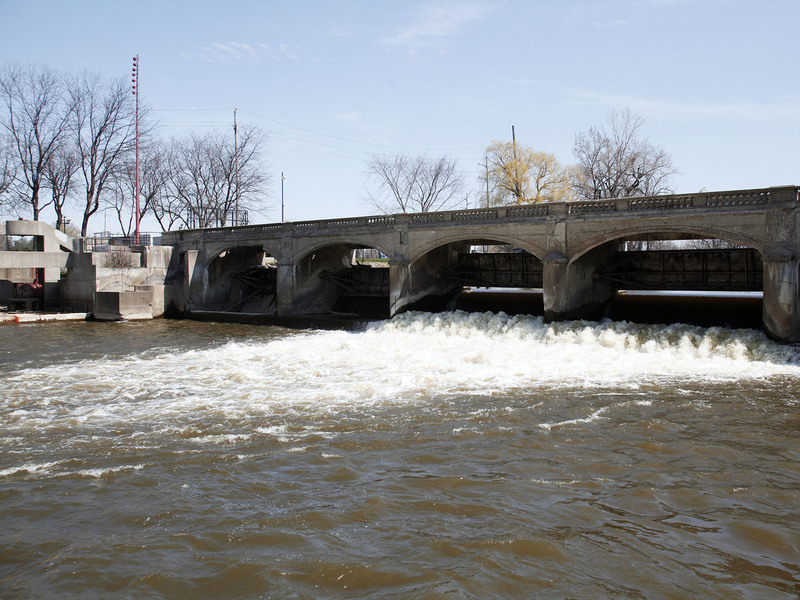 As The Two Way reported in April, the three people previously charged include Flint's water quality supervisor and two state officials at the Department of Environmental Quality. Michael Glasgow, the former water quality supervisor, pleaded no contest to a misdemeanor charge under a plea deal — a felony charge was dismissed — and agreed to cooperate with the ongoing investigation, according to the Detroit Free Press. The other two officials still face multiple felony charges. Schuette said today that his office has interviewed more than 200 people for the investigation. But he said, "We're not done. We're a long way from done. We're way far from done. We continue to work every day to find the truth for Flint."